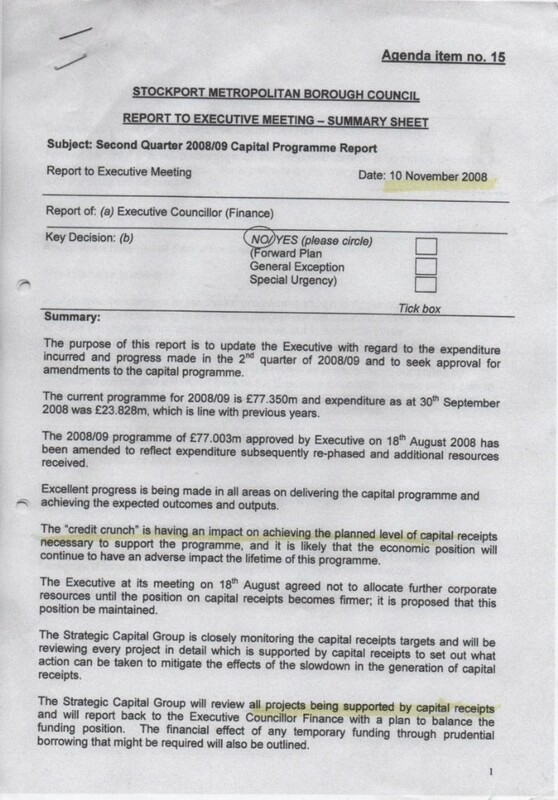 A scandal involving those at the very top of Stockport Council. How could a school which nobody wanted go so overbudget from the start with no-one keeping track of the rising costs? When I pointed them out they banned me as "vexatious". The school never was big enough, so that is £10 million down the drain and they are having to re-open the old school a few yards away. Why wasn't the option considered of renovating the three existing schools instead. Was corruption involved in this or sheer, breathtaking incompetence? On 5th October 2012 the Head Of Legal Services, Barry Khan, again responded in a letter to me that my raising this matter was "vexatious". Mr Khan has a lot to hide. The costs go up from £5.5 million to £9.9 million over two pages of a report and no-one except me and the local MP turns a hair. If you are a Stockport Council taxpayer, you have every reason to be terrified of Khan, Boylan, Webb, Sager, Derbyshire, Weldon et al. Are they fit to hold public office? 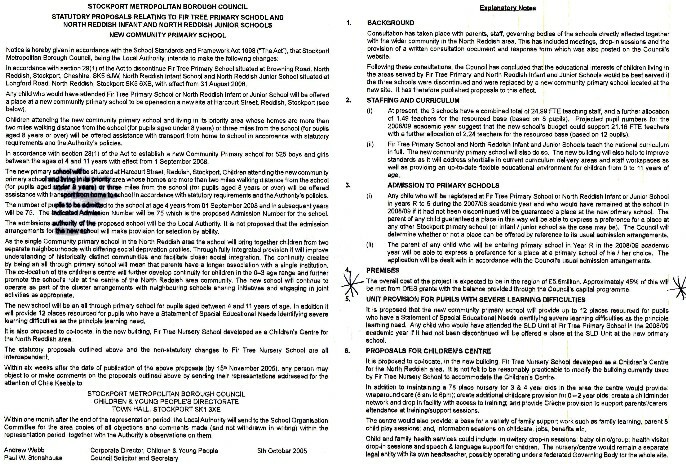 Below is the schools closure notice from October 2005. People were told the cost of the new amalgamated replacement school would be £5.5 million. Had they been given the true figure, it would have been obvious that the more popular option of renovation of the existing three much-loved schools would have been far cheaper. They weren't given the true facts. "Why the jump from £5.5 million in October 2005 to £7.5 million in December 2005", I asked? "Don't be vexatious", the Council replied - Councillor Goddard, Councillor Derbyshire, Councillor Weldon and all he rest of the Executive Councillors, The Chief Executive, John Schulz, the Council Solicitor, Barry Khan, the Director of Children and Young People Mr Andrew Webb and Ms Sager, his deputy. I think it was a reasonable question to ask. As of the end of April 2012 it is still considered vexatious of me to be asking this question. This is a LibDem run council. The LibDems ostensibly believe in open and honest government. No, they don't! Architects fees of £151,507 were paid for this school. These come on top of £550,000 paid to NPS Stockport for "property service fees". Professional fees of £69,336 were paid to BAM Construction. I asked for a breakdown of these figures - I was being "vexatious" apparently. Well, that's all right then! Matter cleared up. There was "obvious concern over funding" at a time that I was being branded "vexatious" for raising concerns about funding. What on earth has been going on here? Why did the school have to be built however much it cost? 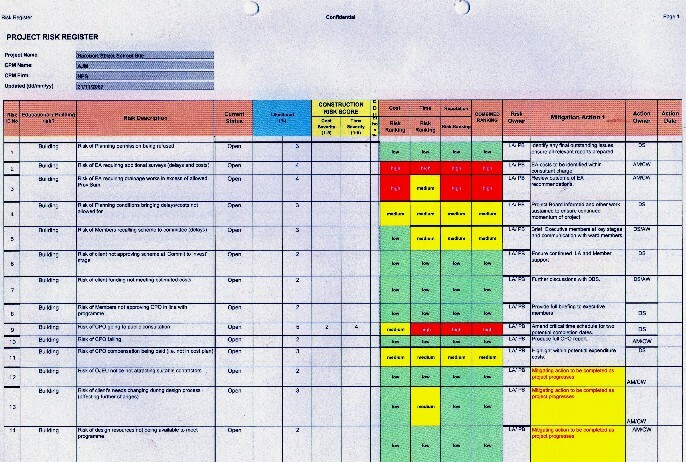 Was Ms Donna Sager, Project Manager, reporting these problems or were things being kept quiet - "advice required about how much of the above goes in the highlight report for May's Project Board. " 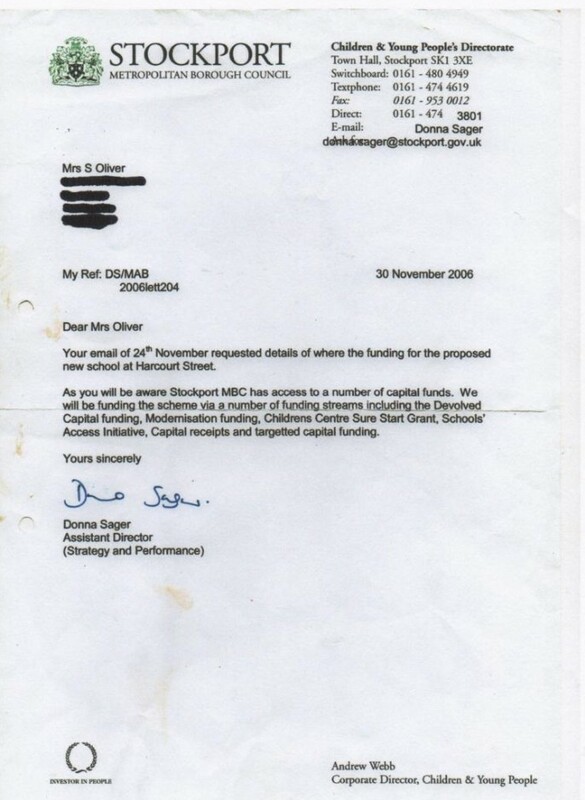 As you will see above, Ms Sager, a woman who branded me "vexatious" for raising issues regarding funding, is writing to me in July 2006 with platitudes about the funding whilst simultaneously there is mentioned in the Highlight Report May to July 2006 - "scheme costs currently circal £2.40 million over the available funding". Is Ms Sager a fit person to hold public office? When these rising costs were becoming apparent, was the option of renovation of the existing schools ever considered, as it should have been? "An item in the accounts breaks the law if, for example, it records spending or income that.... was spent on something that the council has power to spend moneyon, but which was so unreasonably high that it was unlawful". A case in point here, I think. Below is the Risk Register. As you will see there is high risk of the Environment Agency requiring additonal survey meaning delays and costs. "I think the EA will require more work on the contamination", I said. "Don't be vexatious", they replied. There was thought to be a high risk of the Environment Agency requiring drainage work in excess of the allowed sum. "I think drainage will be a problem with regards to the aquifer below the site and the existing drainage problems on the site", I said. "Don't be vexatious" they replied. 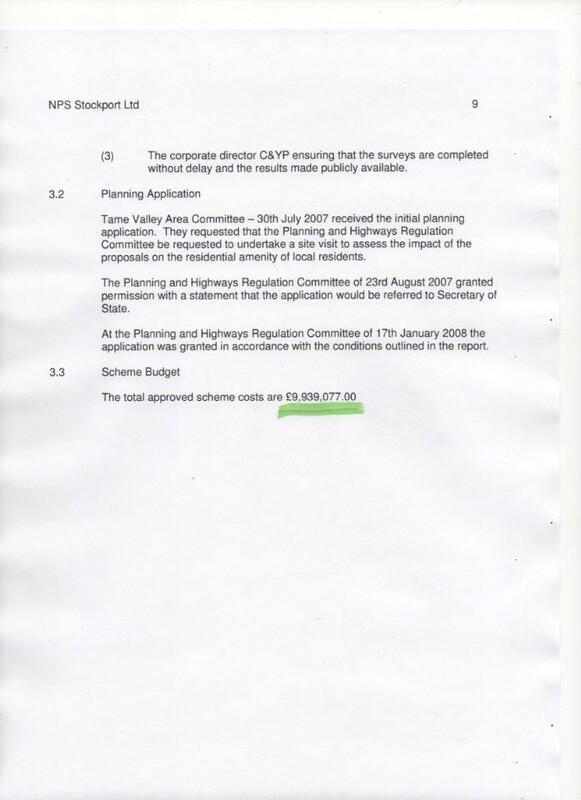 They felt there was a high risk of the Compulsory Purchase Order going to public inquiry, so they didn't bother to hold the statutorily required public inquiry - therefore breaking the law. "You are not dealing with the CPO properly", I said. "Don't be vexatious", they replied - Goddard, Derbyshire, Weldon, Khan, Schulz, Bodsworth, Candler, Pantall, et al. By February 2006 the cost had risen to £8 million. "Why this further rise", I asked. "Don't be vexatious", they replied, and they still do. 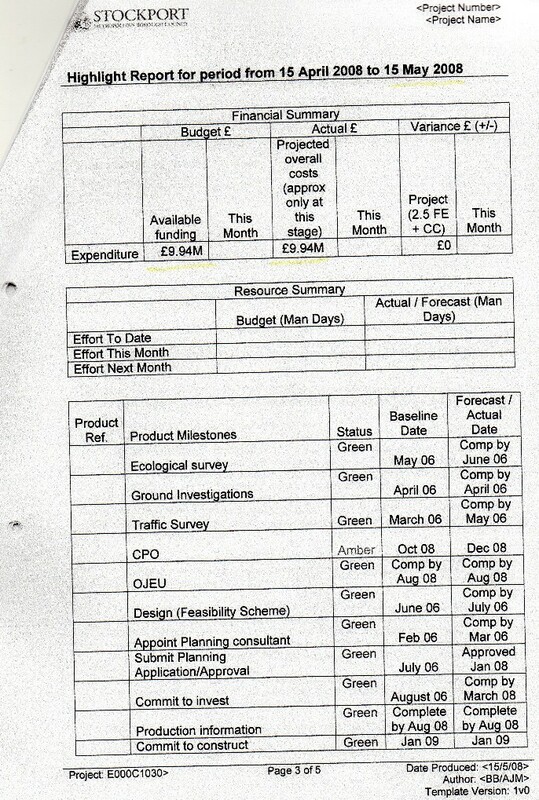 In the document above from March 2008, the Council says the cost they have worked on for the project is £1450/m2. They say that £6.679,000 is coming from capital receipts. This means they are proposing to sell off redundant school land for building and use the money to build the new school. As I attended meeting after meeting, it became clear that the redundant school sites weren't being sold. "How will you fund the toxic waste dump school if you can't sell off redundant school land", I asked? "Don't be vexatious", they replied, and they still do. 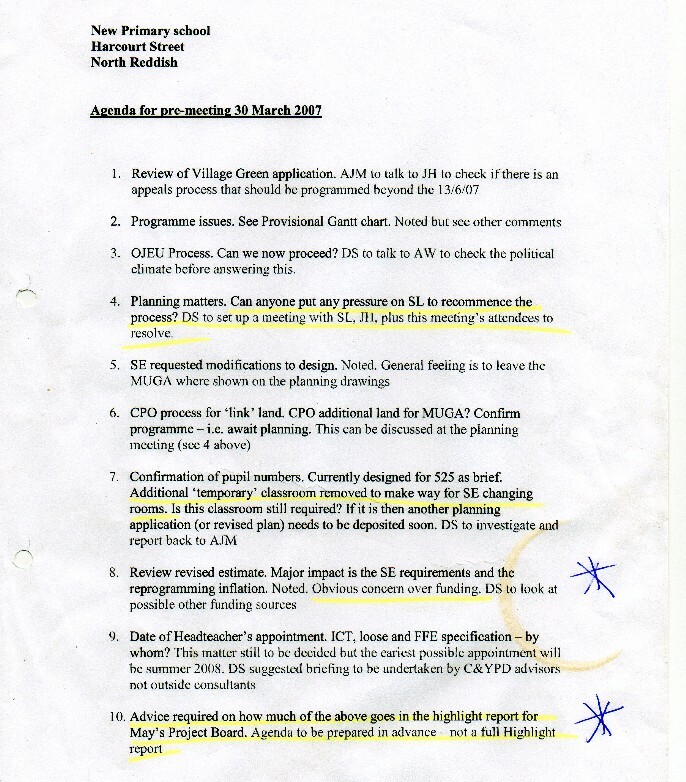 So, Goddard, Derbyshire, Sager, Webb, Khan, Boylan, Weldon and all the Executive councillors publicly defamed me when they knew all along I was perfectly correct in what I was saying about the funding of the toxic waste dump school. "The Fraud Act 2006 defines fraud as activity aimed at securing a gain, causing a loss or exposing somebody to a risk of a loss, through false representation, failing to disclose information or through abuse of position. Crucially under the new Fraud Act, no gain or loss actually has to happen for a fraud to occur, the act of fraud is entirely defined by the actions or intent of the individual." I was questioning and questioning the rising costs of this school. To try to shut me up they had to come up with some sort of explanation for exponentially rising costs. In this document they explain the size of the school has gone from 2600 m2 to 3185m2. 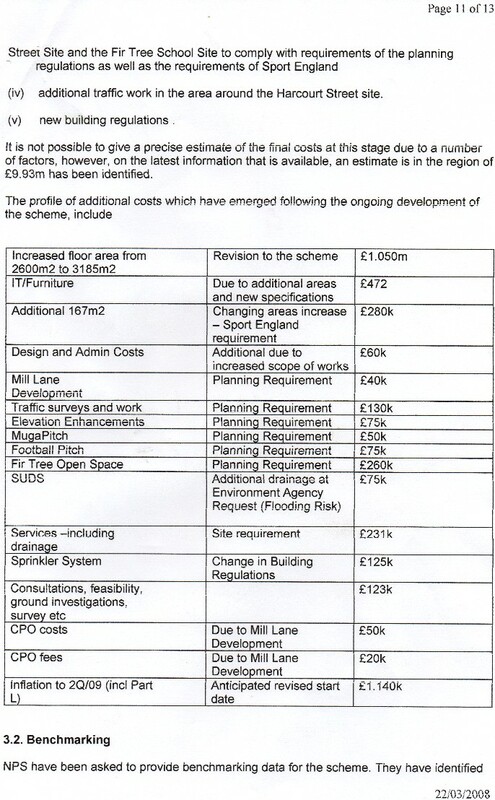 This is a rise of 585m2 and we see the cost they have given is £1450m2. 585 x £1450 = £848,250 and not the £1,050,000 they claim. There is a Fraud and Financial Irregularities policy which they have to comply with. If someone reports to them a financial irregularity they have to look into it. I told the Chief Executives past and present, the Council Solicitor, the Director of Finance, Steve Houston and all the Executive Councillors. 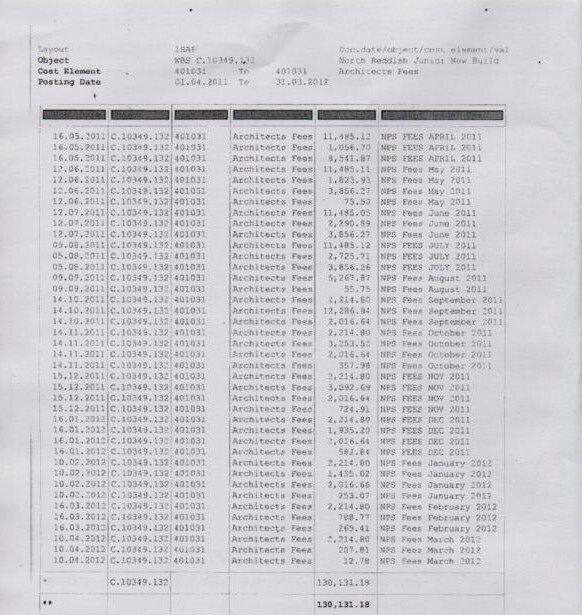 None has acted on this apparent large financial irregularity except to brand the raising of this matter as "vexatious". I have to question yet again whether these highly paid panjandrums are fit people to hold public office. Something, very, very fishy is going on here. They didn't even have to buy the land. I never got any kind of answer from Goddard, Schulz, Webb, Sager, Lucas, Weldon, Boylan, Derbyshire or any of the rest of the LibDem executive councillors. This was whilst they were still lying about the site not being contaminated, so that can't account for the ludicrously rising costs. 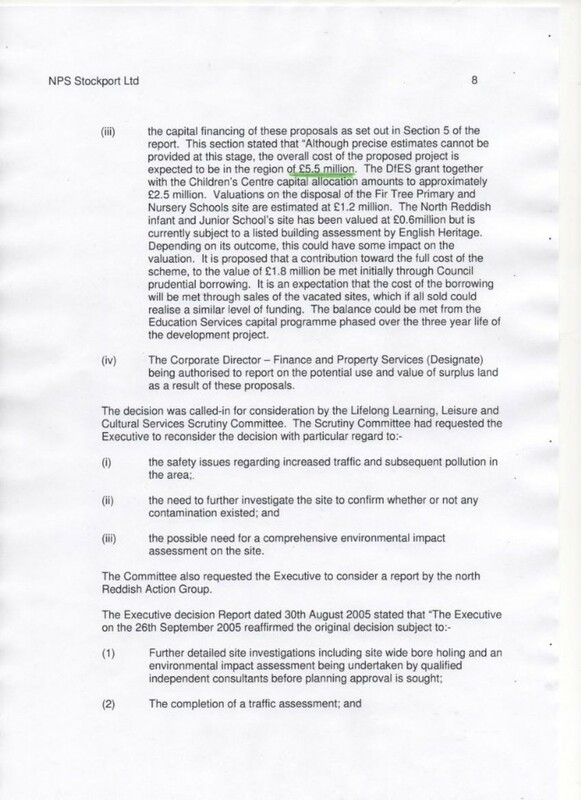 The Council admits that the sale of redundant school land is not making the money they wanted. £6.69 million of funding for the toxic waste dump school was to come from this source. "The sale of redundant school land is not making the sums you expected", I told the Council. "Don't be vexatious" they replied! Now, as if by magic,there is no concern about the funding. However, when it came down to it, circa £5 million had to be suddenly borrowed. Were senior council officers concealing the funding shortfall and therefore needed to brand an innocent council taxpayer as "vexatious" to cover up their incompetence/something more sinister? I raised the matter of the dodgy finances for this school with the District Auditor - Tim Watkinson. It was impossible to get any response from him. In the end - as an experiment- I decided to find out if it were easier to find out about Britain's Trident Nuclear Weapons Programme than get any information from Mr. Watkinson. It was, far easier. In the end - kicking and screaming - he responded to let me know he saw nothing wrong with what had gone one. He will be featuring on my Snoozing Watch-Pussycat page, when I get round to creating it! 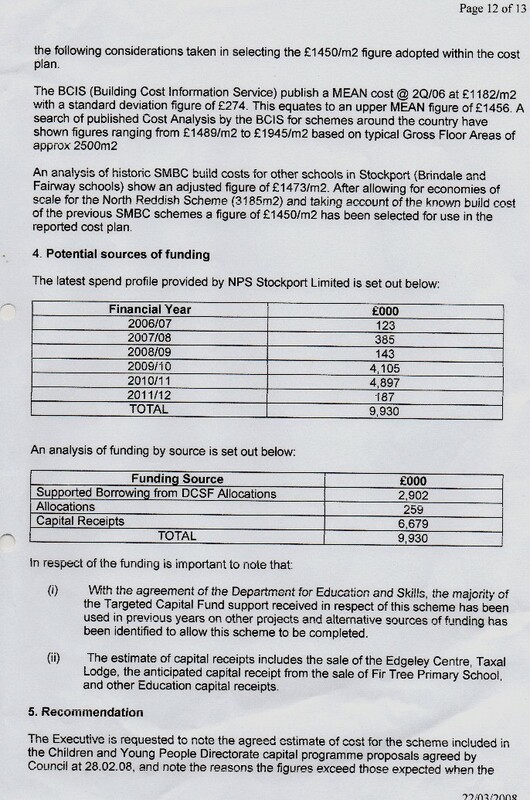 We are paying NPS Stockport an awful lot of architects's fees considering the school has been open a year! I wonder what that is all about? Neither NPS Stockport nor Stockport Council will respond. We paid £38,000 in damages to BAM Construction. Why? Vexatious to ask, I presume. 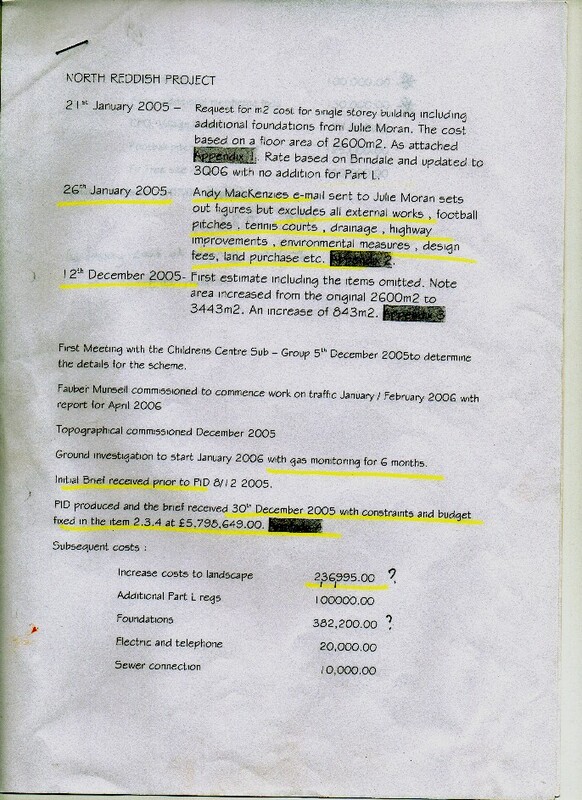 We paid BAM Construction £38.000 in damages. I think this is because the Council lied to them about the toxic waste dump school site being contamined and in the contract made them liable for all contamination remediation costs. I expect the Freedom of Information Department, The Council Solicitor and the LibDem Executive Councilllors will say I am "vexatious" and wasting money in asking this question. Well, they all obviously have a lot to hide! "This relates to payments made to NPS for the descign and contract administration of the project. It includes the following professional disciplines: Architecture, Quantity Surveying, Mechanical Engineering, Electrical Engineering, Project Management and Clerk of Works. These fees are calculated at rates within the Service Level Contract between Stockport Council and NPS. In accordance with the industry norm, fees are calculated as a percentate of the contract value. NPS's fee levels are benchmarked against nationally collated and published fee guidance to demonstrate Value for Money. Professional fees of £69,336 - the sum of £69,336.00 relates to payments made to the main contractors BAM for their professional fees incurred in acccordance with the contract. They were included in the original tender sum." The Council has explained that these are payments to NPS but include payments for the services of several disciplines as well as Architecture. They further "explain" that those professional fees are calculated as a % of the contract value. There is no quarrel with the % basis; however, I have no idea what that value is. And it (the contract value) ultimately governs "reasonable value" and all consequent fees but most importantly profit. I would like to have a note of the contract value and profits and where BAM - the main contractors - fit in. But, I can't because it would be "vexatious" to ask. Professional fees of £69,336 - Paid to BAM for fees in accordance with a contract and an original tender sum - neither of which I have any knowledge of. I can't ask because it would be "vexatious". Why have these fees been paid for work on a site which has not even been made safe from acknowledged toxic waste. Section 11 of Project Execution Plan states that on costs plus or minus 10% meets the criteria. 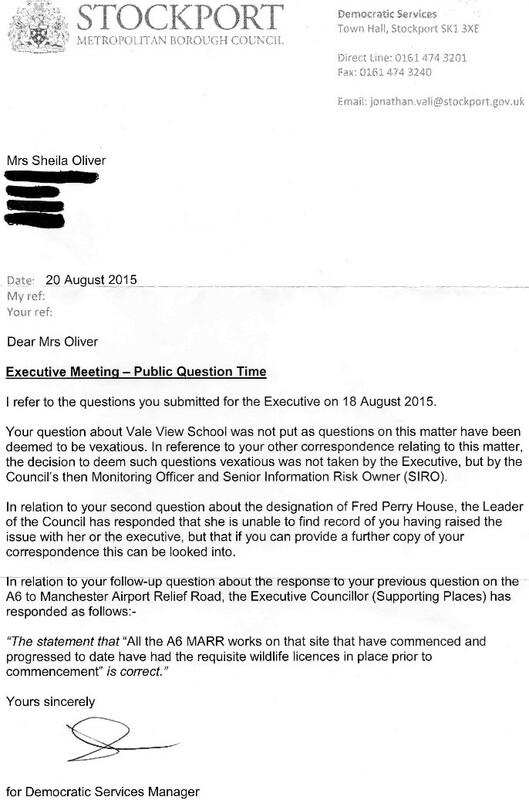 Ms Rosewell in the email above states above that the toxic waste dump school project complies. 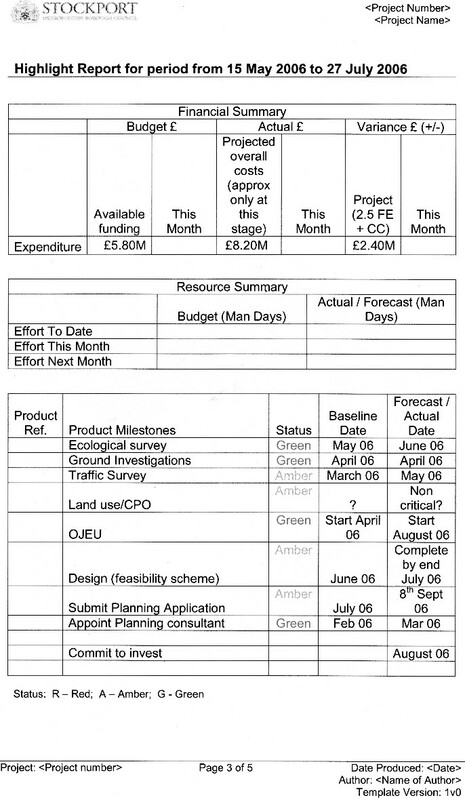 The project was to cost £5.5 million in October 2005 yet by March 2008 it was almost £10 million. How, Ms Rosewell, does that comply with Section 11 of PEP?